Last I remember hearing about this chocolate was I think six seven years back. My friend Neet had mentioned that these were to die for chocolates. This year when I was in Dubai, I was walking in Mall of Emirates and saw the shop. I couldn't resist and headed to try few of their flavors such as Strawberry cheesecake, Amandine, Praline and Dark Chocolate. I only gravitated towards the dark chocolate.There are many chocolate flavors to choose from. The chocolate melts beautifully in your mouth. The taste is awesome. 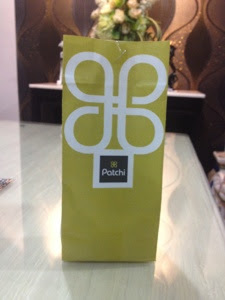 Patchi was founded in Beirut, Lebanon by mr. Nizar Choucair in 1974. They were first introduced to the UK in 2002. The Patchi website is wonderful, sit back and enjoy!